With various varieties of wines from around the world and classic European food menu to accompany these drink of the Gods, The Wine Company offers the best of these fermented goodness. With soothing music and quixotic ambience, this is an ideal place to spend an evening or have lunch with your loved ones. A sommelier’s delight, this exclusive wine room caters to the wine enthusiasts of the city of joy. With its chic décor complete with cosy and sophisticated sofas, arm chairs, barrel shaped tables, wooden wine shelves and more. Alongwith all kinds of wine to suit the varying palate of the tasters, The Wine Room also offers the best cuisine which pairs well with the chosen wine. If you are an amateur in wine tasting, then this is the place to be as it offers the guests with an opportunity to taste different types of wine. You can decide the wine or wines that suit you the most. This is one of the exclusive wine bars in the busy city of Mumbai which serves a unique collection of fine wines from its huge cellar. Ivy Wine Cafe is the ultimate stop for wine lovers with its very English decor and bountiful food menu. This place is a wine critic’s delight and very reasonable on the diner's pocket. The 19th-century Colonial-themed wine bar lounge is located inside the Leela Palace hotel. Along with the ornate décor, lip-smacking delicacies, the Library Bar offers a range of wines much to the delight of the wine connoisseur in you. The Enoteca is Italian for 'wine library' and this wine bar is a part of the authentic Italian restaurant Prego of Taj Coromandel, Chennai. The wine bar is rightly named so because of the extensive collection of wines served here. 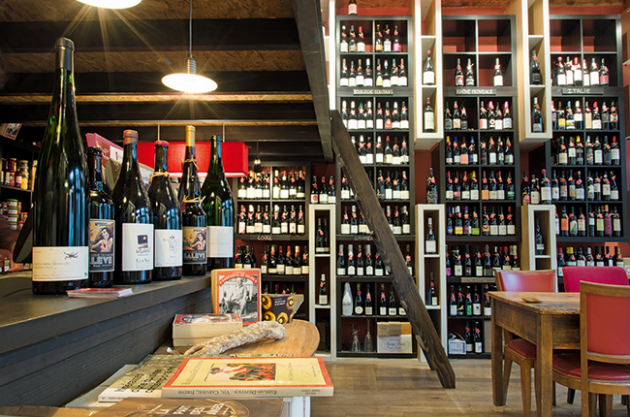 Apart from Italian and French wines, Enoteca has a massive collection of wines from Chile, Argentina, Australia, South Africa and many other countries. You can also sample various wines before ordering to select the one that suits your palate the most. Wine bar culture is now rampant in our cities and you can develop your wine palate or indulge them at the unique hangouts. RepubliqIn helps you find these spaces which are classically themed and offer remarkable food and drink. Literally wine and dine with your loved ones at the best wine bars around your city with the help of this cool app.